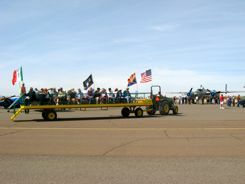 The Cactus Fly-in had more airplanes and surprises than we expected. 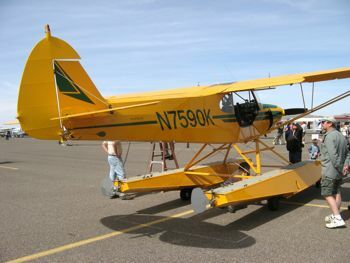 The Cactus Fly-in is sponsored by the Arizona Antique Airplanes Association. The desert lets them get an early start, even though it's still winter. 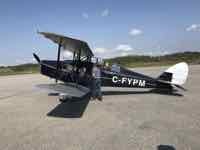 This fly-in usually takes place in early March. 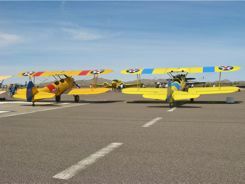 You'll find those antique airplanes making their way to the Casa Grande Municipal Airport just north of town. We went to Phoenix for some Spring Training baseball, and we were delighted to see that we could combine the trip with antique airplanes. We weren't really sure what to expect... we found a fun little fly-in with some great airplanes. 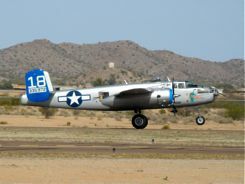 The first thing we saw flying when we got there was a B-25... great, we thought, there will be some warbirds! Yea, there was also a B-17 (Sentimental Journey), a P-51 Mustang, and a Bearcat among others. One of the surprises of this fly-in was a Soko 522. 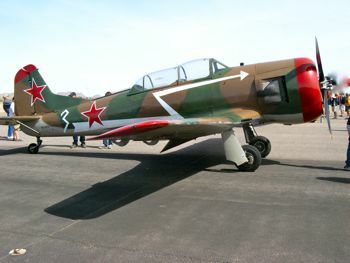 It was a two seater Yugoslavian military trainer and light attack aircraft. These were produced in the 1950s... This was the first one Mark had seen, so he was excited. Then we saw a yellow airplane landing.... Mark called a Bamboo Bomber. It was actually designated as a Cessna T-50 Bobcat.... but who's gonna tell Uncle Sky? There was also a red New Standard D-25 hopping rides... there aren't that many of them, but they sure do get around to all the fly-ins and air shows don't they? Off at the far end of the field was a big orange tail that Mark immediately honed in on as a rare plane... a Consolidated PB4Y-2 Privateer. Love this shot with the New Standard flying over. That's what fly-ins are all about isn't it? Mark thinks the Privateer is quite possibly the only one flyable these days. 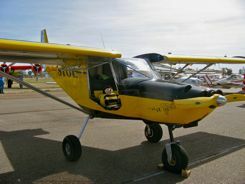 There were some fun little aircraft that we enjoyed... this STOL CH 701 and Challenger II Ultralight among them. And here's one we loved... I said you need to take a photo of that Cub on floats. Mark informed me it's not a Cub... OK I'm partial to Cubs. 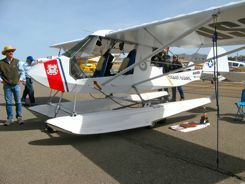 This was a Piper on floats... a Piper PA-18. But come on... in the desert??? There were lots more of course. It's not an air show... it's a fly-in. You'll see planes flying, but there is no set program. 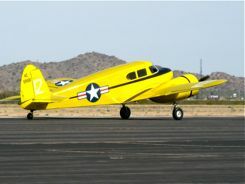 Casa Grande is only about an hour south of Phoenix, and the airport is only a couple of miles off of US Interstate 10. Airport access is via Pinal Avenue/State Highway 387, then follow the signs to fly-in parking. 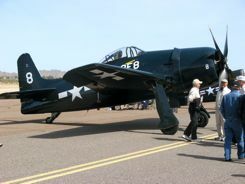 The 2011 Cactus Fly-in was the 53rd Annual event. 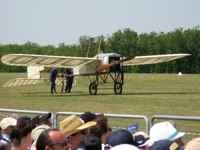 Their website says they emphasize historic aircraft. From what we saw, that about sums it up. It is generally the first weekend in March... on Friday and Saturday. If you're into baseball too, you can combine it with Spring Training baseball games. 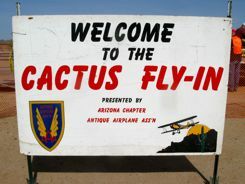 See their Cactus Fly-in website for details on the fly-in. There is lodging available in the Casa Gande area, and they have parking for RVs on the airport ground during the event. 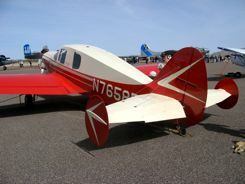 Aircraft owners may camp under the wing of their plane. 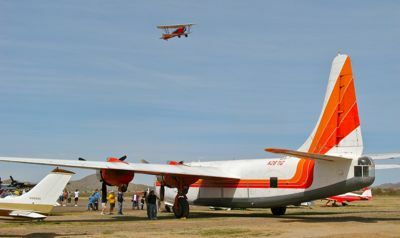 The AAAA (that's the Arizona Antique Aircraft Assoc) runs a shuttle from motels in town to the airport during the event. You can easily drive down from Phoenix for a day trip. We stayed with a friend in the Phoenix area... it was about an hour drive. You could also combine this with a visit to the Pima Air Museum in Tucson about an hour further south, and don't forget the "boneyards" at Davis Monthan AFB where you can get tours. All in all this was a great little fly-in. Arizona in March makes a great break from winter elsewhere. You can combine it with baseball, air museums, or just exploring the Phoenix-Tucson area. 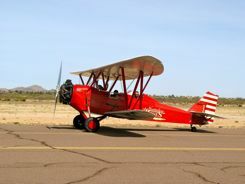 So put the Arizona Antique Airplanes Association Cactus Fly-in on your to-do list. You'll be glad you did.